Members, just to let you know Keith will be re-starting the Coach Park Viewing & Telescope workshop sessions from this Saturday 18th April. The sessions will take place in the Coach Park, located at the far end of the parking field outside the Science Centre from 20:00hrs. The session is for all members regardless of ability, that wish to learn more about their scopes, how to set them up and of course to view. So please bring your scopes with you, plus red/white light torches if you have them. Please do not arrive before 20:00 as we must wait for Castle Security to open the barrier and let us in. Please note this is a private session for members only, we will not be using the Science Centre and there will be no members of the public. Keith will be leading the session and will meet everyone in the Coach Park. 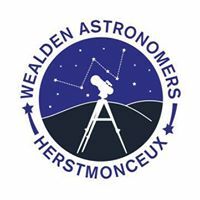 Keith will also be using the session to discuss and help members prepare for the next Science Centre Telescope Clinic in November, so if you wish to assist with the event is is a good idea you attend the CoachPark session.